three views | Jewish studies and anti-Zionism: a roundtable – J. On Aug. 1, Jewish studies professors Hasia Diner of NYU and Marjorie Feld of Babson College published a joint opinion piece on the website of the Israeli newspaper Haaretz stating that they no longer consider themselves Zionists (www.haaretz.com/opinion/1.734602). Their essays generated a flurry of responses, including an Aug. 5 editorial in J. that registered disappointment in their stance and called upon American Jews not to disengage from “the most important and exciting undertaking of the Jewish people,” namely the unfolding of our national expression in the State of Israel (www.tinyurl.com/jweekly-080516-editorial). J. asked a number of local Jewish studies scholars to weigh in on the debate. Here are the thoughts of those who responded. Two American Jewish historians write an op-ed together on their disenchantment with Israel, their unwillingness any longer to embrace Zionism, and a firestorm erupts. More intriguing than the piece itself is the fierce response it has generated. I, too, disagree with much of what they write, especially Marjorie Feld’s recitation of how she re-educated herself, with its echoes of left-conversionary tales from the ’30s. In both essays there is the assumption that of all countless matters, small and large, sequestered from us as children, secrets regarding Israel are so startlingly appalling in their misrepresentation that they demand in the cold light of maturity their polar opposite. So, there are surely aspects of the essays that rankle, but why the electrifying impact? No doubt, some of this has to do with the writers’ refusal to equivocate, their embrace of raw, provocative terms like colonialism or racism in speaking of Israel’s start or, in Hasia Diner’s case, her acknowledgment that the prospect of visiting Israel or synagogues celebrating it is distasteful. They’re intended to provoke and do just that. Still, I suspect that a significant reason why these pieces have so irked — with some of the strongest denunciations coming from those on the liberal or left side of the Jewish spectrum — is because their arguments, however overstated, cut close to the bone. As the prospect for Israeli democracy thins, as the country’s politics coarsen steadily, as those ready to defend it with full-throated support embarrass, many who have long loved Israel find themselves asking, however fleetingly, whether the sort of issues raised by Diner and Feld brush up against things we’d prefer not to think about. Indeed, one can readily imagine a scenario whereby in a decade or two Israel is more similar in its political rhythms to, say, Hungary, than the Western democracies to which it has long preferred to be compared. Occupation is now just short of 50 years, the political right’s hegemony is more secure than ever, and as Israel’s neighborhood worsens, the argument favoring status quo — with its slippage toward apartheid — resonates for many in Israel more than ever before. And then something like these essays by Diner and Feld surface in a respected Israeli publication written by respected scholars ready to say things that, while over the top, rub up against fears we’d much prefer to dampen. Picking them apart for pitfalls is easy. Taking their anguish seriously — particularly that of Diner — could help us more honestly confront political and moral dilemmas at the heart of contemporary Jewish life. Israel may not now be what they describe — I don’t believe it is — but the fear that it could well be in the foreseeable future rankles, and rightly so. What Diner and Feld have produced are bits and scraps of nightmares. Instead of casting them aside, it’s best in the cold light of day to see them for what they are — misshapen, spotty as history, but unsettling not for these reasons but because of how they remind some of us, at least, of terrors we’d prefer setting aside and that nonetheless keep tugging. What is most remarkable about the essays by Jewish history scholars Hasia Diner and Marjorie Feld cannot be found in the writing itself, but in the rebukes and responses that it elicited. The two academics laid out the terms of their divorces from the State of Israel. Some read this as a sign of trouble, arguing that they crossed an unspoken line in American Jewish discourse. But most of the responses re-enacted part of the problem that Diner and Feld were addressing. By denouncing the two scholars so ferociously (and occasionally personally), the responders demonstrated once again how the American Jewish conversation about Israel has become so inflammatory, so impacted, so constipated, so painful and so difficult, that many Jewish organizations and individuals avoid talking about it entirely (Northeastern University professor Dov Waxman documented this in his recent book “Trouble in the Tribe”).To talk openly and honestly about the politics of the State of Israel would necessarily elicit a range of opinions and embrace a range of politics. One response has been to just not talk about it. Another has been to set guidelines around who can and who cannot participate in an event or a partnership (as enacted by Hillel International, San Francisco Federation). Diner and Feld broke with that convention, triggering the very dynamic that has resulted in the vitriolic tone of Jewish discourse that informed their decision to go public. Even more troubling, however, is the fact that they put into print in Haaretz what has already been put into action by hundreds of thousands if not millions of American Jews who have also distanced themselves from Israel entirely. 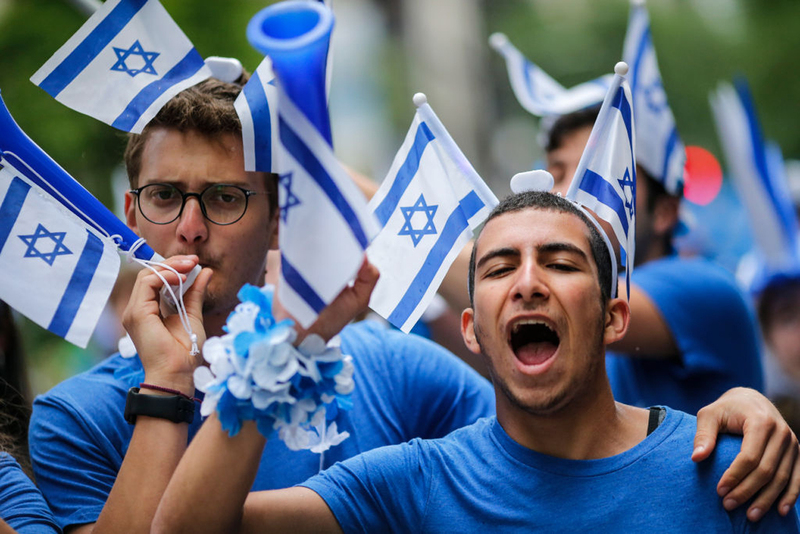 The 2013 Pew Research Center survey reported that a full 31 percent of American Jews say they are “not very” or “not at all” attached to the State of Israel. Diner and Feld merely gave voice to some segment of that population. They are not leading the charge here; they’re bringing up the rear. Anyone who has been paying attention for the past decade or so should not be surprised by their tone or their content. Faced with a community in which the terms of debate are more censorial than they are sympathetic, Diner and Feld spoke up, choosing to contribute to the conversation instead of just walking away or staying silent. Or both. Diner and Feld have the absolute right to believe what they want to believe and say what they wish. And Jewish communities (at least the ones I would like to imagine I am myself part of) should be able to hold strong differences of opinion. Why not? Jewish communities are remarkably resilient. You can believe whatever you like, marry whomever you love, eat whatever you please, pray however it moves you and express Jewishness in just about any form you can imagine, and the Jewish community will welcome you with open arms. So why does the community seem incapable of creating space for anti-Zionists? Or non-Zionists? Or simply for people who do not care to include Israel among their many commitments to Jewish life? From where I sit, that is a much bigger problem than whether Diner or Feld still care about Israel. It is an even bigger problem than the 31 percent of American Jews who agree with them when asked. It is a problem with American Jewry, which is where I live my Jewish life and where I have skin in the game. When an article expressing what is effectively a personal opinion provokes the range of responses and rebukes that it has, we have a real problem, the least of which lies with what Diner and Feld think. Ari Y. Kelman holds the Jim Joseph Chair in Education and Jewish Studies at Stanford University’s Graduate School of Education. “Complicate the narrative and deepen learning” — that’s my motto as a public intellectual in Jewish studies. Scholars who enjoy the privilege of university appointments (often with the forever job guarantee of tenure) must share their research in ways that shake preconceptions and challenge our learners. Jewish studies professors must say what rabbis and agency heads can’t. Without the threat of politicized governing boards or micromanaging donors, public intellectuals enjoy a rare and vital space in American Jewish discourse. The import and sanctity of this role, more than anyone’s personal views of Zionism, animates my read of the recent shared op-ed by Hasia Diner and Majorie Feld. With their strongly worded repudiation of Zionism, my colleagues in American Jewish history offended many. 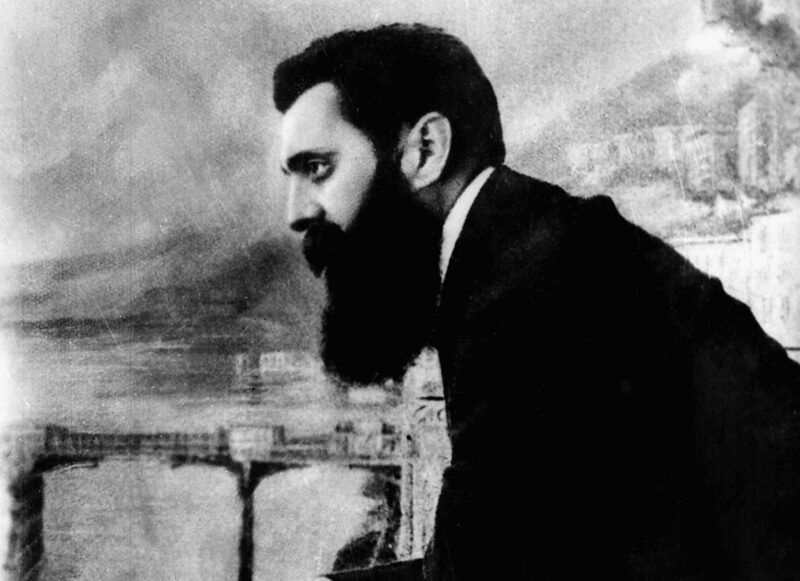 Stepping outside what many consider the acceptable bounds of Jewish studies academic discourse, these two scholars launched into a biting critique of Jewish nationalism and its expression in the modern State of Israel. Still, their decision to advocate anti-Zionism follows a well-worn public intellectual path. In the wake of the social protest movements of the 1960s, scholars in various ethnic studies disciplines challenged the university’s classical mission as a neutral center for academic discourse. Especially among scholars of color, the notion of a university marketplace of ideas immune from the rough and tumble of politics proved naive at best. The purpose of education, they believed, centered on advocating social change in one’s scholarship, teaching and civic engagement. Higher education promised to teach young people about the root causes of inequity and inspire them to do something about it. Our own San Francisco State University’s College of Ethnic Studies grew from this perspective. By linking their anti-Zionist proclamation to their academic positions in American Jewish history, Diner and Feld located the field of Jewish studies at the heart of this ethnic studies approach to the university. They sought to advance their sense of social justice by complicating our collective narratives on Zionism. Preserving academic freedom and protecting the unique role of the university demand that no scholar face ideological or political litmus tests. Instead, we should be judged on the quality of our scholarship. By these standards, Diner and Feld, two of our field’s academic stars, earn only the highest marks. At the end of each semester, I offer my classes a final lecture on “Jewish Studies and the Meaning of Life,” drawing connections between the field of Jewish studies, the role of the university and the lives of my students. In that lesson, I define a historical hero as someone who risks his or her own power and privilege for the benefit of others. Diner and Feld’s anti-Zionist proclamation demonstrated that level of commitment, unleashing widespread academic critique, personal attacks and even threats of discontinued funding. They must have known they would suffer for their decision to complicate the narrative on such a divisive political issue. Whether one agrees or disagrees with their views, they are living the social justice-centered vision of the university. As one who chose the life of the Jewish studies academic, I understand and respect what my colleagues did and why, in their view, they felt obligated to do so. That said, I left Diner and Feld’s article disappointed. While they identified themselves as scholars of American Jewish history, they offered just a single sentence linking the field with their turn to anti-Zionism. In fact, anti-Zionist threads weave throughout American Jewish history. Early Reform Jews famously repudiated Zionism in the 1885 Pittsburgh Platform. Even after the rise of Hitler, San Francisco rabbis led the anti-Zionist American Council for Judaism. How, then, does Diner and Feld’s anti-Zionism reflect on that history? How does it challenge our assumptions and force a re-evaluation? I hoped their article would offer a new and provocative reinterpretation of Jewish anti-Zionism. Unfortunately, it did not. Diner and Feld complicated the narrative to be sure. The opportunities for deeper learning, though, will have to wait. Marc Dollinger is the Richard and Rhoda Goldman Chair in Jewish Studies and Social Responsibility at San Francisco State University.